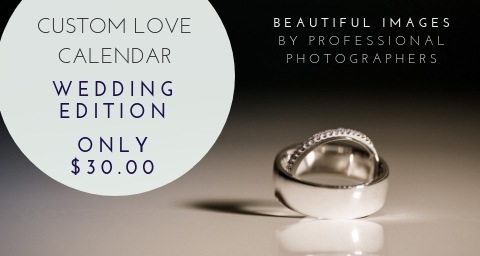 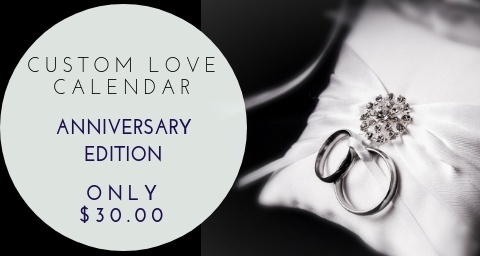 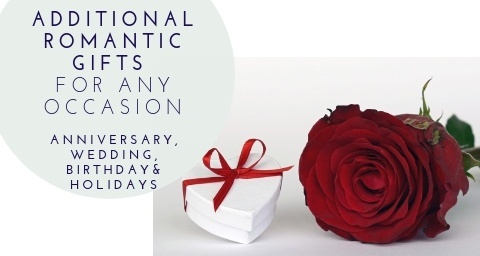 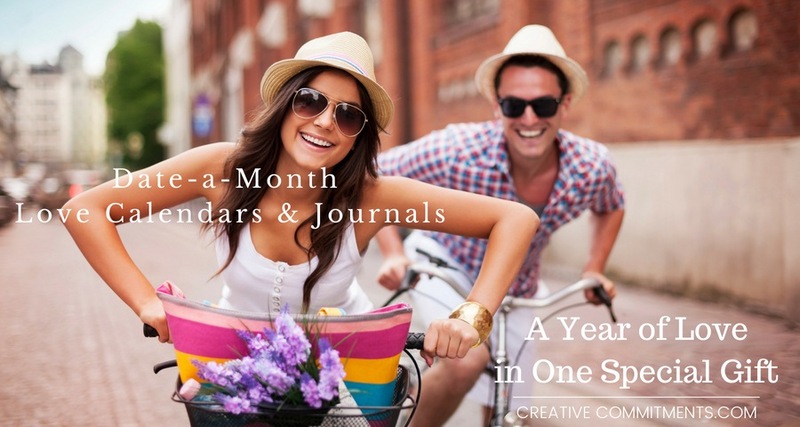 Love Calendars & Journals make the perfect romantic gift for any occasion and can start on any month of the year. 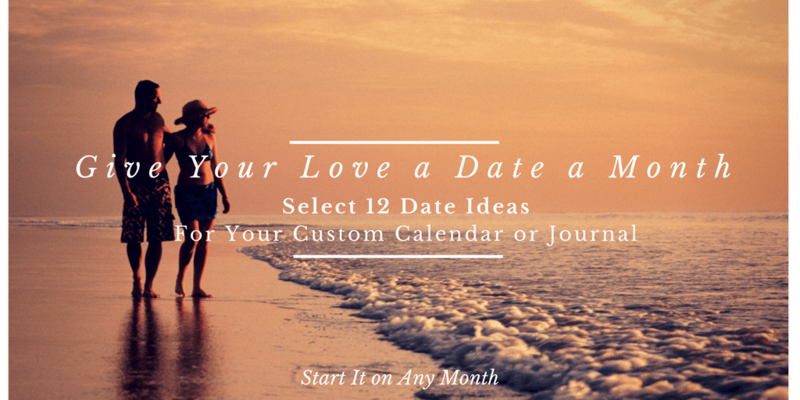 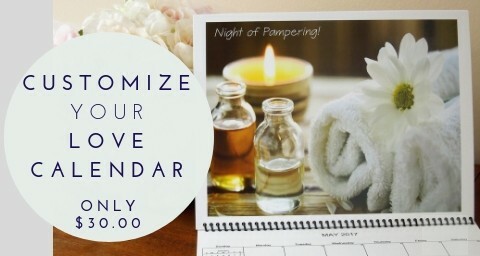 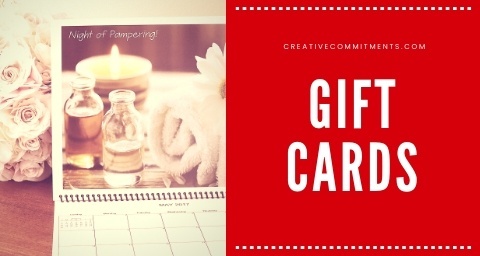 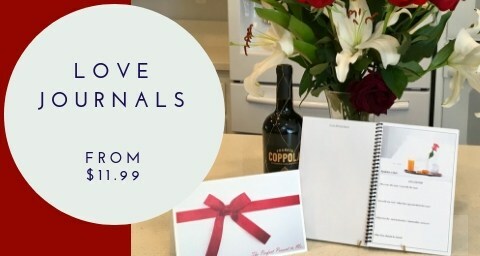 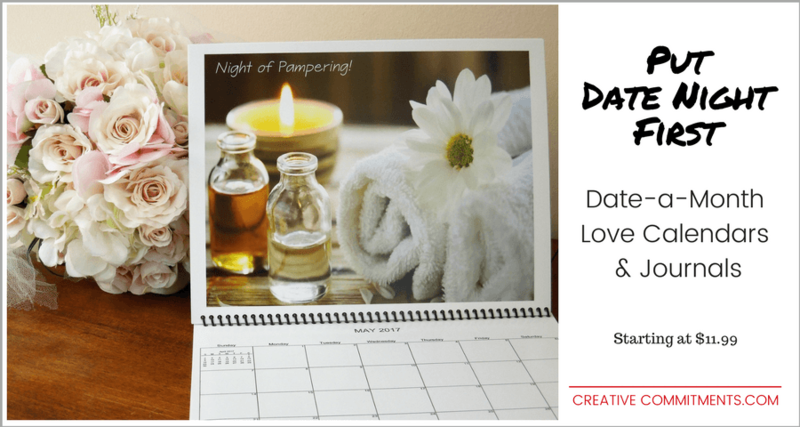 Choose a Custom Calendar or the Journal option below to select the Date ideas you'd like or choose from one of our Pre-made Calendars or Journals filled with our most popular Date ideas! 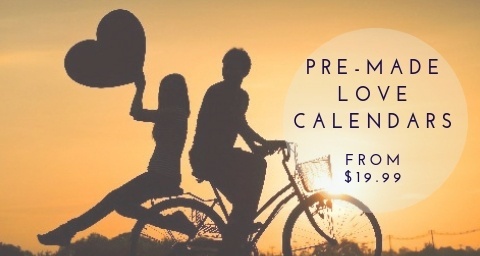 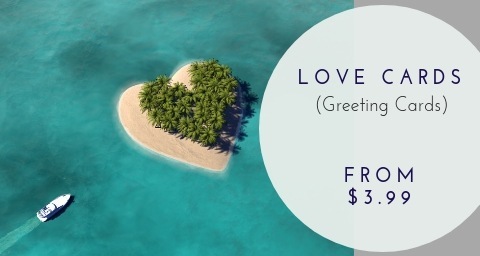 You can also customize the cover with both your names and even ask us to make a Date Image that's not listed in our inventory!